Mine . . . a little like the photo. I survived the ACFW conference in Indianapolis a few weeks ago. I didn't win the Carol Award which is a little sad but I got to meet the other two great women authors in my category: Katie Gansert and Courtney Walsh (the award went to Katie like I thought!) Katie is the gorgeous one in the pink. If you are an aspiring author I highly recommend these conferences. They are a great way to network and just be amongst other like-minded individuals. I mean really-- does your family really understand your characters talking to you? One of the highlights of the conference was meeting Frank Peretti. I think he could be considered the grandfather of the Christian suspense/paranormal novels with his groundbreaking books This Present Darkness and Piercing the Darkness. These books remain popular after their debut almost twenty years ago. He was very kind and generous. I think he probably did take a photo with every conferee-- and there were almost 600 of us there. Worse than wedding photo day-- I'm sure his cheeks hurt for weeks. This is also the last week to subscribe to my newsletter to be eligible for my mega-prize worth over $75.00! You can subscribe here. For you this week I'm doing a little fall/winter health education. What exactly are flu and RSV? Anyone else excited for autumn?!? Me, yes. Not so much geared up for what we call respiratory season though. Last post I discussed a little bit about situations where therapeutic hypothermia might be indicated. This post I thought I'd discuss exactly how it's done. The highlighted points came from this article. It focuses on a research protocol for adults but is a nice jumping off point for scene writing if you wanted to do this for one of your characters. 1. Adult resuscitated from witnessed arrest from cardiac cause. This is important because then the down time is known and the likelihood of preserving good brain function is more likely versus just prolonging a vegetative state. 3. Initial rhythm of v-fib/v-tach-- which are lethal heart rhythms that require electricity for conversion to a normal perfusing rhythm. 4. Have a stable blood pressure after resusitation. 1. Temperature less than 86 degrees Fahrenheit. This is probably because you are really dead. 4. In a coma prior to arrest. 5. Inherited blood clotting disorder. 2. Infuse 20-30cc/kg of normal saline cooled to 39.2 degrees Fahrenheit over 30 minutes. 3. Maintain temperature at 89.6- 93.2 degrees Fahrenheit for 24 hours with cooling blankets. 4. Use sedation as needed and paralytics if the patient is shivering-- the point of this would be that shivering causes expenditure of energy and we wouldn't want that to happen. 5. Nursing care includes lubricating eyes, monitoring urine output, watching blood sugars closely. 6. Rewarm the patient 0.3-0.5 degrees at a time. 7. Don't provide nutrition during this phase-- I'm assuming they mean putting food into someone's gut which makes sense as it wouldn't be getting good blood flow and would just sit there undigested causing problems. What do you think? 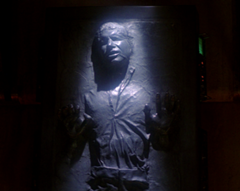 Would you ever use therapeutic hypothermia in a scene? You can further read the article for more in-depth information. In the last couple of months, I recently heard a news story about the "Baby Frozen for Four Days". I don't know what it is, perhaps it's the suspense author in me, but I immediately began to imagine those that have had their heads disconnected from their body and frozen until a point in time comes where they can be attached to another disease free body. And just what happens to those other people who "donate" a whole body without their head? I'm sure there is a suspense novel in there somewhere. Probably already has been. But I digress. Instead, I'll keep the vision of Hans Solo in my mind. Therapeutic hypothermia is actually a reasonable therapy to consider when the medical staff is concerned about potential brain damage. But to say the patient is frozen is a little bit of a misnomer. If the tissue were truly frozen it would crystallize and be damaged-- this would not benefit the patient. Instead, the body temperature is dropped to around 33 degrees Celsius or 91.4 degrees Fahrenheit. Normal body temperature is 37 degrees Celsius or 98.6. Next post will discuss how this might be accomplished. Generally, therapeutic hypothermia is used when there is a concern for brain injury, usually after an anoxic event, which means the patient potentially suffered from a lack of oxygen. Common situations where this could occur would be during birth (for infants) and after cardiac arrest (for adults) which is currently how the therapy is employed. It came out recently to consider therapeutic hypothermia in instances of pediatric arrest though it's not widely employed at this time. The reason therapeutic hypothermia is effective is that it slows brain metabolism and protects brain tissue from oxygen free radicals which are release during tissue injury. In recent news, however, there were two different instances where infants were placed in therapeutic hypothermia. One was after repair of a complex heart defect where perhaps the infant did arrest or was on bypass for longer than desired-- though this is speculation and not stated in the article. Case two was an infant that had a very fast heart rhythm called SVT and I'd not heard of using hypothermia anywhere as treatment for this heart condition. So keep therapeutic hypothermia in mind for use in fiction after a patient suffers cardiac arrest as I did in my recently released novel Peril-- it will definitely add to the tension. 1. Infant who had heart surgery. 3. Use of hypothermia in infants post traumatic delivery. 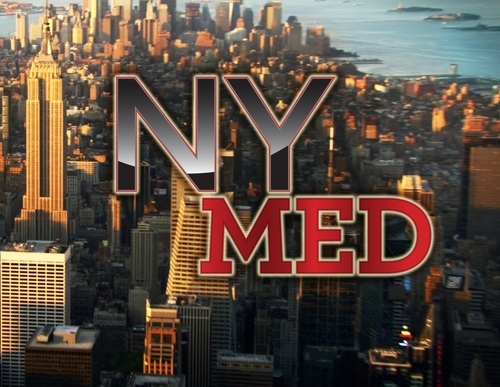 This week, I've been analyzing some episodes of NY Med. Last post I discussed Dr. Oz's view on some requirements for surgery. And they didn't involve the patient's state of health. Today, I'm going to look at another aspect. Let's call it . . . expectations. We, as medical providers, have a set of expectations for our patients. We assume, rightly or not, that when you come to the ER you'll generally be on board with what the medical game plan is. After all, we've been through medical training and most of our patients haven't. There is the thought that you'll defer to our training and years of experience when we give you the medical game plan for your complaint. Conflict arises in this scenario when a couple of things happen that I'll highlight below. 1. The family has a preconceived idea of what the medical care should be and thinks, perhaps, we're not doing our jobs correctly if we don't do their medical game plan. A good example of this in pediatrics is the use of CT scans for concussion. We don't need a CT scan to diagnose a concussion-- or grade a concussion. A physician can diagnose that from your symptoms. The use of CT in head injury is to look for something that would require a neurosurgeon to fix. Like a clot that would need to be evacuated. Generally, the patient will exhibit a focal neuro deficit (I can't move one arm) that gives a hint this might be occurring. Oddly, vomiting in head injury is not the gold standard of solely determining need for CT scanning-- neither is LOC or amnesia though these will play into the whole picture. We actually don't want kids to get exposed to radiation unnecessarily because they have long lives ahead of them for potential mutations to occur that could lead to cancer. 2. The family disagrees with the proposed game plan. In kids-- a good example would be us suggesting IV fluids for vomiting and/or diarrhea. "But, I don't want her to get an IV!" We sort of stand back and scratch our heads. Then why did you bring her in? We like to fix things . . . and when you don't let us . . . we do wonder why you came to visit. 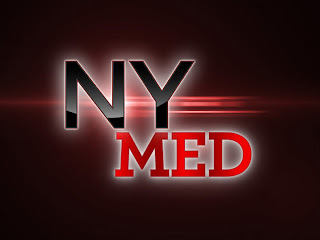 In episode #4 of NY Med-- a young gentleman gets shot in the leg. The physician goes on to explain that he's going to leave it in place. "This kid's so lucky he got shot in the thigh. I mean, there's no better place for him to get hit. There's nothing there but muscle. He will have no permanent issues from this." He goes onto explain that "bullets travel so fast that they're sterile. He gets a dose of antibiotics and a tetanus and we just let it heal." Then mama bear shows up and the conversation goes something like this . . .
Mama Bear: "I would like you to remove the bullet." Surgeon: "Once it's healed we can electively take it out. That's better with less chance of infection." Mama Bear: "What do you mean? I cannot understand. You mean when he's 50 and can't heal as good? You do it when he's young." Surgeon: "This is pretty standard . . . not taking (the bullet) out at this point." Mama Bear: "This is not standard to me." Father Bear: "Let's just work with the doctor." 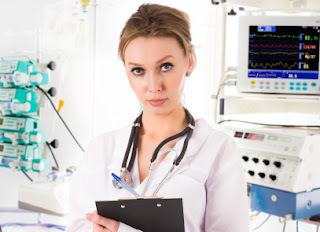 There is sometimes a very fine line, or balance, to maintain between the family and the medical teams expectations and these types of situations can definitely add to tension in your novel. About one year ago, ABC news ran a documentary series entitled NY Med where TV cameras followed around medical personnel to show real life in the hospital setting. This is the medical institution where Dr. Oz works which I'm sure was one of the reasons the hospital was chosen-- I mean, right? And of course-- you knew I'd be watching. You could have called me up. Oh right, I wouldn't have answered. Watching medical documentaries is a true source of entertainment. There were several situations from the show that were interesting to me that I thought we'd discuss here in this forum that I would LOVE to know your thoughts on. I found the episodes for free on Hulu. Here is the link to the first situation we'll be discussing. It is the very first segment so you wouldn't have to watch far. Dr. Oz: Are you here by yourself? To which the patient responds with something indiscernible. They begin to discuss the surgery. Dr. Oz: Who is going to have your power of attorney in case something bad happens to you? Jack: Uh, I'll probably give it to my ex-wife. Dr. Oz: You're still close to her? Dr. Oz: Can I call her? Wow-- and he really does call his ex-wife on the phone-- speaker and everything. "I'm very concerned when a patient walks into my office and they don't have family with them. It is a very concerning sign because it means that they may be isolated socially. I have made the mistake of operating on people who had no one who loved them. So I now insist that that person identify one person who they love and who loves them back because if you don't have a reason for your heart to keep beating . . . it won't." On a personal note, some of you know I had a family member in the hospital for a month. He'd had a big abdominal surgery and suffered some complications. I was in relieving my aunt one day when the doctors were rounding. A necessary discussion ensued about my relationship and if they could discuss his medical case in front of me. This led to the doctor commenting about how much better patients do when they have family visiting and helping to care for them. What do you think about this stance? Do you think it should be a requirement for surgery? Off the top of my head, I'm trying to think of professions that have simulators and airplanes and NASA shuttles are the only ones I can think of. Plenty of professions run simulated experiences-- like police, firefighters and the like. In medicine, we too run simulations. Often these are called mock codes. Sadly, it's really hard to practice real code events in a non-threatening situation because people don't voluntarily offer to be put into cardiac arrest for us to practice bringing them back. It is important to practice because all sorts of team dynamics can be analyzed and discussed and no one has died in the process. The issue with medicine is that mannequins are static-- they don't give you information. Usually, there is a code facilitator who feeds information to the group. Not only does a mannequin not give information but you often can't do real procedures on them-- like start IV's or intubate. Over the last several years this has changed. Mannequins have evolved and become more life like to allow for a more realistic code experience. They draw breath. They can have procedures done to them. Recently, I participated in a high-fidelity code simulation. The purpose was to do it with fellow nurses that I work with on my unit. This made it more interesting because there are already team dynamics in place. We were all emergency nurses with many years of experience. We know each others quirks and weaknesses. The photo is fairly close to how our room was set up. The situation is presented in as real an environment as possible. Another nurse comes and gets you and presents the scenario and then generally leaves. Our team was comprised of three nurses, one nurse practitioner, a physician and a respiratory therapist. The first scenario went off without a hitch and we were feeling pretty good about ourselves . . . until scenario #2. I can't give much away because I did sign a confidentiality agreement to not divulge specifics about the scenario. Let's just say the scenario was difficult as it presented us with a lot more torture than any of us imagined would be involved in a mock situation. Team dynamics are a very interesting thing. Not only was there a lot of stress in our scenario, but tension, frustration and hopelessness at one point. It's amazing to feel all of that even when intellectually you know that no one's life is at risk. 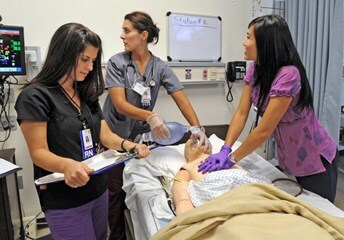 I think these type of code simulations are invaluable and I hope that more and more hospitals invest in this type of training for their staff. It has been show to increase staff competency. I’m happy to have award-winning author Jocelyn Green return to Redwood’s with a couple of questions about gunshot wounds. I decided not to do a gunshot to my character’s shoulder because of all the bones and major things it could have hit. Too complicated for my story. Instead, I am writing that she was shot through her bicep, missing the bone, though. A year later, she raises a gun for the first time since her injury, to do target practice. Is it possible that due to nerve injury, her aim is off, or she can’t raise the gun properly? It would be great if something doesn’t look right to her “instructor.” So, can we limit her range of motion or something, due to her injury? 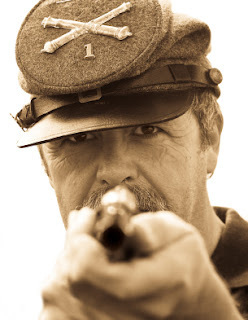 The year is 1863, by the way, and according to my medical textbooks from that time, the treatment of a gunshot wound was to clear out the debris and just put water dressings over it. Yes, this is possible. A gunshot wound through the bicep could injure the musculocutaneous nerve that is responsible for part of the upper arm like the flexor muscles. Flexor muscles decrease angles at joints like the elbow. So, if her arm would need to be slightly bent to shoot the weapon, she would be unable to do that. That being said—if it were needed that the opposite be true (for instance her arm would need to be straight to shoot the weapon) you could injure a nerve that supplies the extensor muscle—which decreases the angle at joints like the elbow. You can view the two links below for detailed information about flexor and extensor muscles. Remember, though, she would exhibit these deficiencies all the time—not just when she’s learning to shoot the weapon with her instructor so that would need to be written into the story as well. I also have another character who broke his arms and legs in an accident on a ship under construction. How long would he be in slings for his arms and casts for his legs? How long would he use a wheelchair or cane? Wow! You are really torturing your poor characters in this novel! Those are very significant injuries. Bones can take anywhere from four weeks (on the short end) to eight weeks (on the long end) to heal. In the time era your novel is set in—I’m doubtful they would have done plating, screws, etc for stabilizing fractures but likely did externally set them. I think he’s going to be wheelchair bound for a long time. A person quickly loses muscle mass and strength in a few short weeks of being immobile so even when he’s out of his casts (in say six to eight weeks) he would not be able to tolerate a lot of physical activity for likely several months. These days a person who suffered these injuries might be in a rehab center for several weeks building their strength and mobility back up. This coming week is very exciting for me. I'll be heading out of town for the annual ACFW conference. 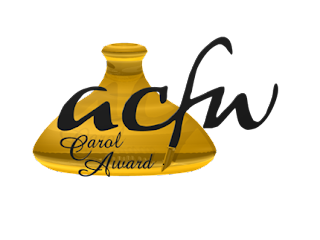 ACFW is the largest group of Christian Fiction authors and includes all different types of fiction genres. 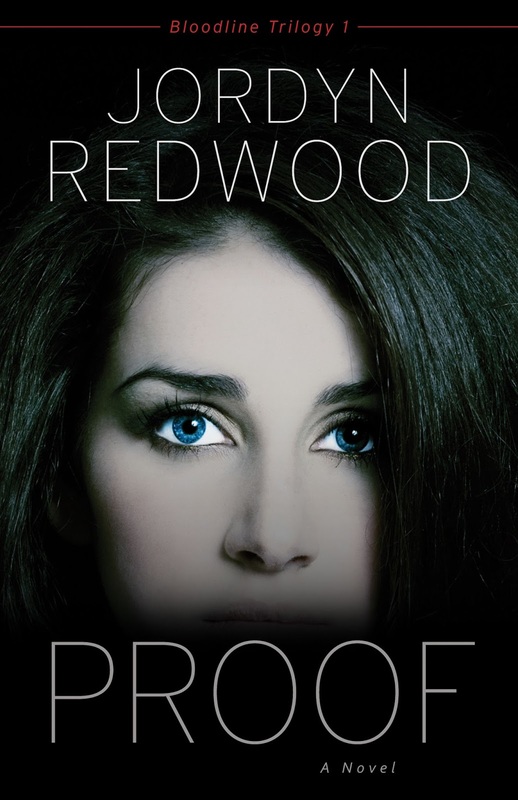 My debut novel, Proof, was nominated for the Carol Award in the debut novel category. 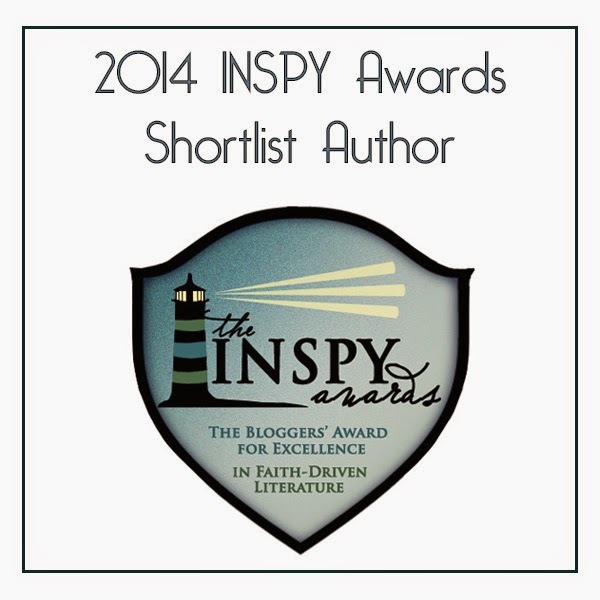 This week, well Sunday, Sept 15th-- I get to find out if I actually won at the award's banquet. More than that, the conference is a chance to catch up with my author friends who are scattered across the country and learn a lot about the writing craft-- which never ends. So, you'll have to wait until Monday, Sept 16 to find out what really happened while I was there. But if you happen to be there in Indie-- be sure to come up and say "hi". Also, I am launching my newsletter October 1 with a great prize give away worth over $75.00 but you have to subscribe (and live in the USA) to be eligible. Don't miss out. There will be stuff in there not found anywhere else. Tuesday: Fabulous award-winning author Jocelyn Green stops by with some questions about gunshot wounds. Thursday: What exactly are high-fidelity code simulations and how did I feel about going through one? Sometimes you need a medical character to go through the wringer-- I mean really go through the wringer. One possible way to do this would be to have them lose their license. But what could cause a medical person to lose a license? Remember, each state has a governing board that manages all kinds of licenses-- not just those covering medical persons. There are licenses granted to plumbers, cosmetologists, and massage therapists so this could be a drastic turn of events for other types of professionals, too. Doctors usually are managed by a separate entity than say nurses and other licensed persons-- usually it's called something like the Board of Healing Arts. Here is a list of reasons a medical person could lose their license. 1. They operated outside their scope of practice. Scope of practice deals with what a licensed person can and can't do. It does differ from state to state. For instance, some nurses may be able to start an IV without a protocol in place. It means a dermatologist shouldn't be doing C-sections. It doesn't mean they can't do something like this in your novel but your character should face some consequences if they do-- which of course can add to the overall tension. 2. Drug or alcohol abuse. This would have to be long and protracted and the person would probably have to be non-compliant with drug treatment. It would not be an automatic loss. 3. Abusing patients. A nurse intentionally causing pain and suffering. 4. Stealing Drugs/Diversion of Drugs: Giving someone you know prescription drugs-- even if they are your own. This is more likely to be a problem if the drugs are narcotics than say naproxen sodium but it is highly frowned upon for a nurse to give their prescription drugs to anyone but themselves. Another thing under this would be adjusting a family member's medication without the consent of their physician. Like increasing pain medication or adjusting insulin dosages. Selling drugs is even worse as it could carry criminal prosecution as well. 5. Patient Abandonment: Leaving the hospital without proper notification. Not giving report on a patient. 6. Negligence: For a nurse, this could be something like a nurse not reporting a change in a patient's condition to the physician and the patient not getting the attention they needed and suffering a turn for the worse. 7. Providing a False Copy of License: This might be a case where a nurse has received a reprimand-- which could be printed on the license and she provides a copy that is restriction free (such as an older copy.) Even if the suspension is over-- this is a big no no. 8. Falsifying Patient Records. Something like recording a set of vital signs that you made up. 9. Unprofessional Conduct: This could be using foul language at work to hosting a pornographic website. 10. Violating Probation. If you're in trouble with the State Board of Nursing-- you better do everything they say otherwise it could end up in total revocation of your license. To read further on these points-- check out this article. Honestly, sometimes you just don't have to go very far to get plot ideas. They are in the news every day. This news story totally shocked me-- and honestly it takes a lot to do that for me these days. Evidently, a woman called 911 yet "failed to report how serious a situation was" though evidently did say a man was on bath salts and acting belligerently. The situation became volatile and the man was shot and killed but one deputy was injured in the scuffle. He's the one that's suing. Here's a link to the news story. Very early in my nursing career, a man was transported to us via ambulance. He had passed out and cut his head open on a rock mowing the lawn in the Midwestern heat and humidity. I mean, who wouldn't, right? Now, if you know head lacerations-- you know they bleed pretty severely. Even small wounds can bleed impressively and this man had a significant laceration and blood was everywhere. He wasn't all that coherent when we tried to ask questions and get a history so we bypassed that and began his medical treatment. The physician and I were gloved up and raking through his hair when his sister arrived and we began asking her his history. "Does he have any medical problems?" I mean-- we both just froze and I remember thinking I wish I'd been in the habit of triple gloving. The physician and I were fine because, as healthcare providers, we assume EVERYONE is infected all the time and we should be using precautions based on that assumption. Always assume the worst case scenario. Which is why I can't reason this officer's actions for the following reasons. 1. 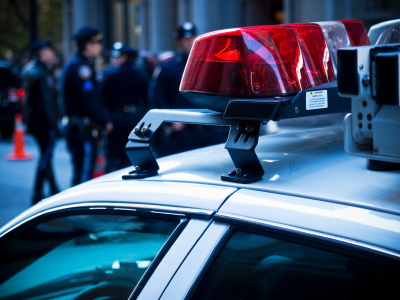 Every responding officer should assume they are going into a volatile situation until proven otherwise. I don't think it's routine to put on Kevlar after you get on scene. 2. People aren't good at disclosing details that may be pertinent to your job when they are having an emergency. They are thinking of only a few things. "I need help." "Come as quickly as you can." "Did I say fix this now?" It's up to us as emergency responders to ask for the information that we need yet realize even then-- the answers may not be accurate. 3. This is a workman's comp issue. If you're injured in the performance of your duties-- this becomes a workman's comp claim and I have no idea why a police officer thinks suing her for money will engage the public trust. I am a HUGE supporter of the police. My brother is a police officer. But, we don't want civillians worried about getting sued when they truly need help. I hope the courts throw this case out. This Labor Day weekend was my birthday! Yea, me, right? I don't know if birthdays are as sweet as they once were. You get to a point where you don't want to see your age increasing. What I will say is that I do feel better this birthday than I have for many of my past ones because of some physical challenges I put myself through over the last several months. 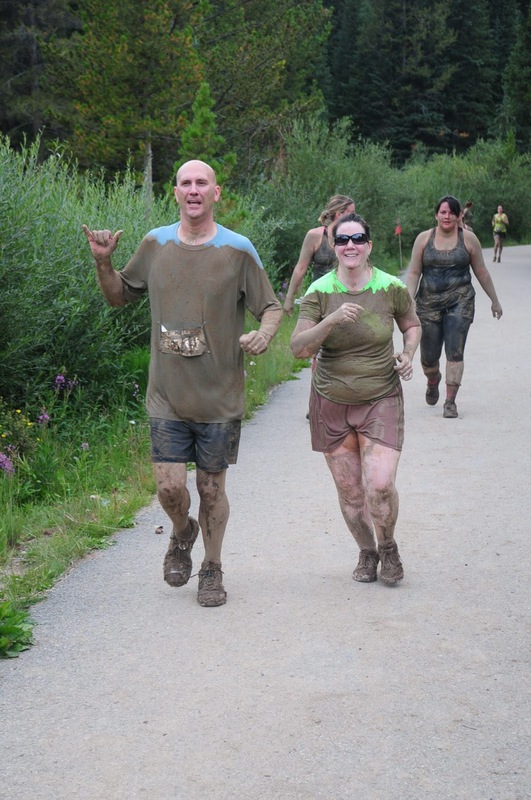 Things like running a 5K, a 10K and a mud obstacles course. 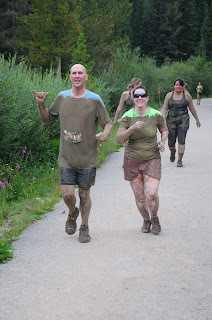 And some thought I hadn't truly run the course because I wasn't muddy enough in the pictures I posted so I have included a few more as "proof" of my endeavor. What do you do, regardless of age, to keep your life interesting? 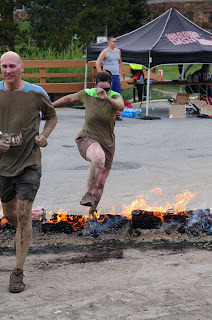 I had just seen a man over 60 attempt American Ninja Warrior. He didn't get very far but he trained and tried. What dream do you have that you need to take that first step toward. I think this man proves age does not have to be a limitation. Tuesday: Evaluation of a police scenario. 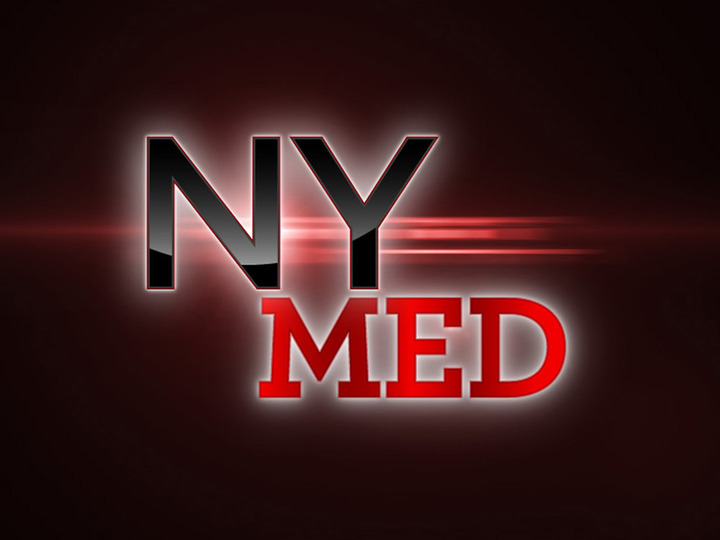 Thursday: How would a medical person lose their license? Hope you guys have a fabulous week and hope you enjoyed our Labor Day Weekend!